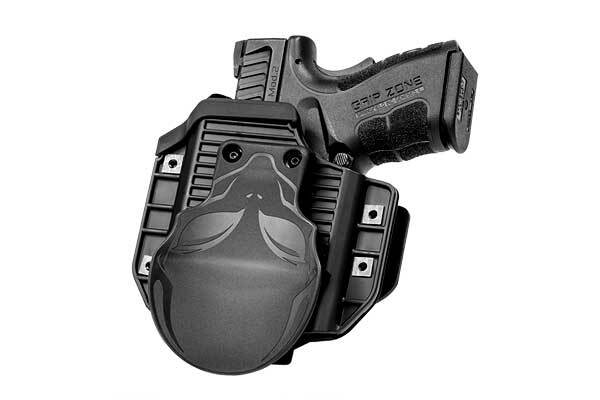 What would a person normally look for in a Taurus PT138 holster? First they'd probably want one that they were able to conceal and carry with; the PT138 is a slim, compact pistol that's perfectly suited for concealment. A PT138 gun holster should also be comfortable, as a carry gun isn't supposed to be an exercise in pain tolerance. It should also be able to securely retain the pistol. It would be nice to find a Taurus PT138 concealed carry holster that did all those things, without having to settle for a generic fit and an active retention device just to keep it holstered or for that matter having to order a custom holster. What if we could offer you exactly that? 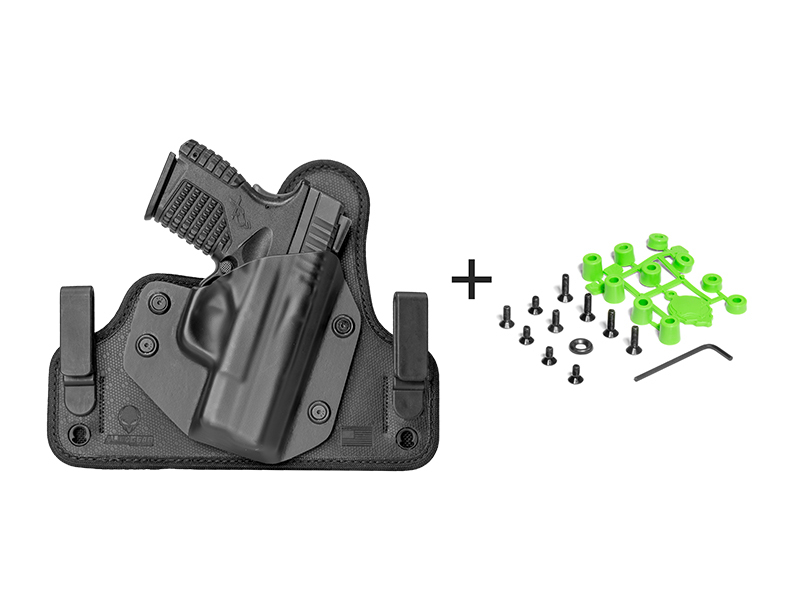 Alien Gear specializes in the hybrid holster design, whereby a durable retention shell is mounted to a comfortable holster backer. Our retention shells are custom molded for the exact make and model pistol that you order the holster for, so no more worrying about the fitment. The mounting hardware is also adjustable, so the retention - and therefore the draw - can be set exactly how you want. Select models also can be equipped with the belt attachment device of your choice, and can be adjusted for the perfect carry position. If deeper concealment is your goal, the entire range of the Cloak Tuck is available for this pistol should you desire a PT138 IWB holster. You have the choice of the plush leather of the original Cloak Tuck, or the multi-layer design of the Cloak Tuck 3.0. 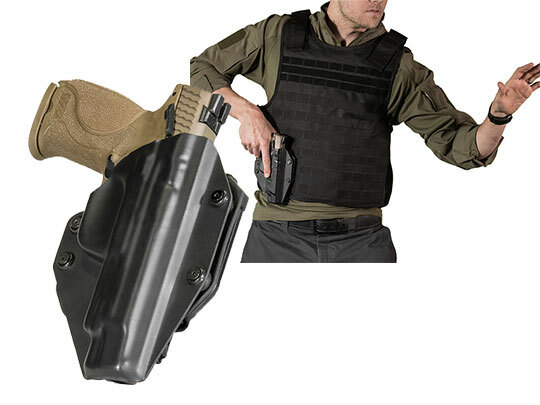 These holsters will let you conceal in as little as a t-shirt, and carry in comfort daily. 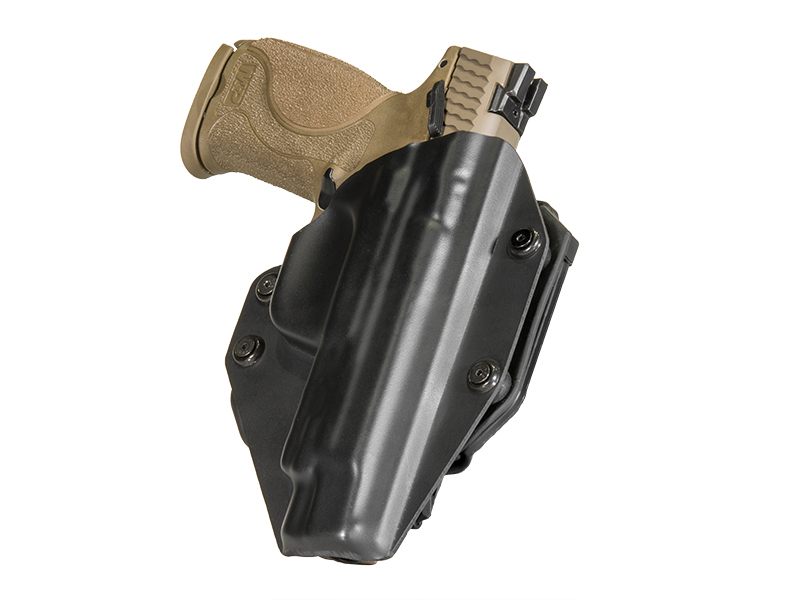 Taurus PT138 OWB holsters are also available, such as the leather belt slide Cloak Slide OWB holster, or the Cloak Mod - wearable either as a belt slide or as a PT138 paddle holster. Not convinced yet? Why don't you take the holster for a test drive? 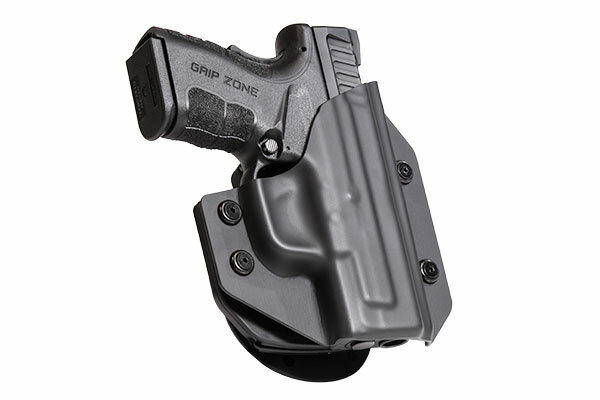 We give you the first 30 days of ownership to wear your Taurus PT138 holster and evaluate it. You can return it at any time during that period for a full refund. You also get a lifetime of retention shell trades with purchase, so you can swap the retention shell for a different pistol if you trade in your gun for a new one. We also fully warranty the holster for life. That's Alien Gear's Iron-Clad Guarantee, which comes with every holster sold. We stand by our products, and once you put one on...you'll see why so many others do too.